Graduated from Queen's University, Faculty of Medicine, and completed his urology training at The University of Toronto. 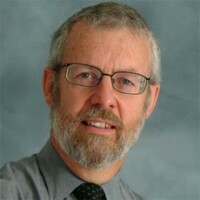 He became a Fellow of the Royal College of Physicians and Surgeons of Canada in 1974 and subsequently spent 2 years as a Fellow at Memorial Sloane Kettering Cancer Center in New York City before returning to the Faculty. His clinical practice is in urologic oncology with research interests in testicular cancer and superficial bladder cancer.